Alexandria Moulding Knotty Pine Wainscot Base 9/16 In. x 2-5/8 In. x 96 In. Alexandria Moulding Primed Fibreboard Colonial Base 5/8 In. x 5-9/16 In. 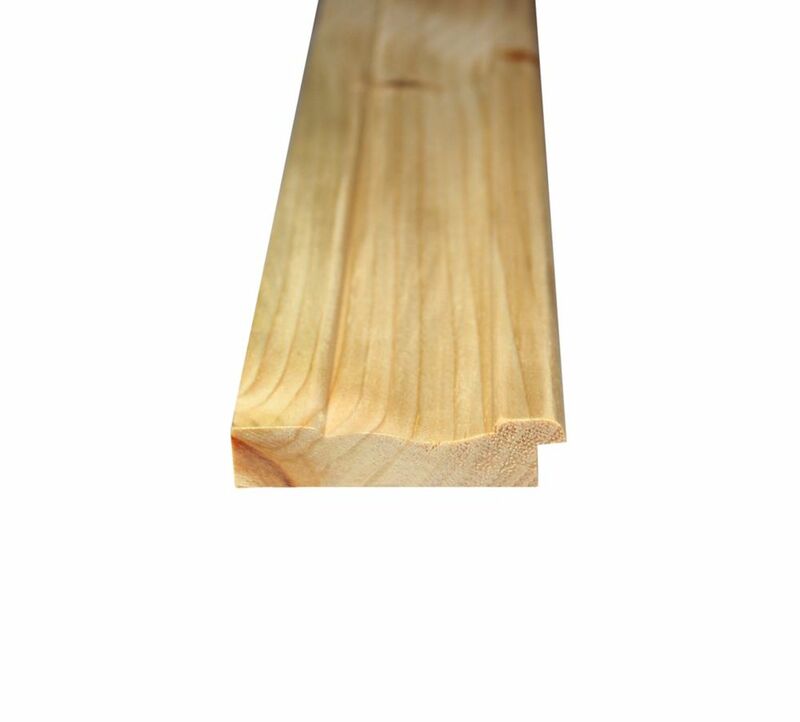 x 8 Ft.
Knotty Pine Wainscot Base 9/16 In. x 2-5/8 In. x 96 In. With an ancestry dating back to 19th century Victorian England, this classic wainscot design has outlived many other stylish fads. Beadboard wainscot is traditionally used in foyers, bathrooms, hallways and less formal gathering spaces of primary residences, cottages, and vacation homes. This easy to install wainscot system recreates this authentic look and feel in as little as several hours. Perfect for a weekend project idea! Knotty Pine Wainscot Base 9/16 In. x 2-5/8 In. x 96 In. is rated 5.0 out of 5 by 1. Rated 5 out of 5 by Ljw from This product was just what we needed to finish the... This product was just what we needed to finish the beadboard in our bathroom remodel - made fir a very neat, clean, fresh look, and was eadily installed.